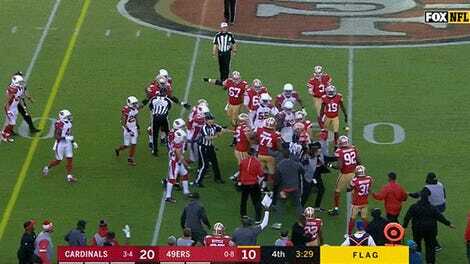 A botched pass play by the Jacksonville Jaguars gave Blaine Gabbert the opportunity to defeat his former team, as a Blake Bortles incompletion with 37 seconds left in a 24-24 game gave the former Jaguars/current Cardinals QB just enough time to get his team into field goal range, when Jacksonville otherwise could have just let the clock run into overtime. Blaine Gabbert is no one’s choice to hand the ball to in a 30-second drill, but he completed two perfect passes for a total of 22 yards to get Phil Dawson just into field goal range. 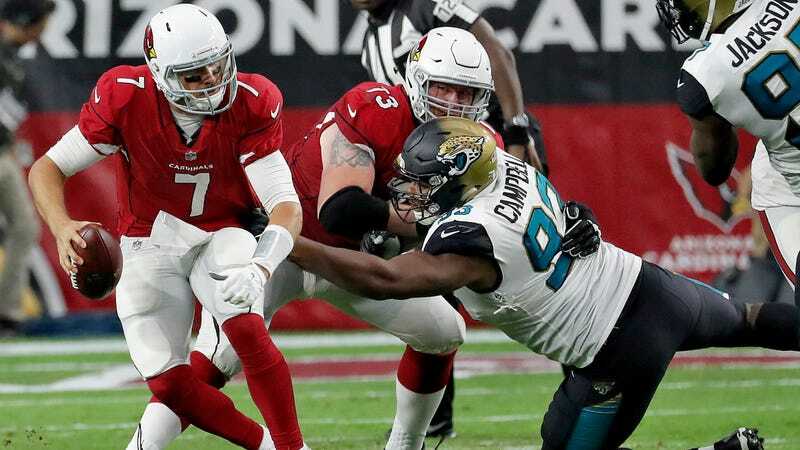 The 42-year-old wonder stepped up and delivered the Arizona win, 27-24, against the now 7-4 Jags. Gabbert started 27 games for Jacksonville from 2011 to 2013, only winning five. Now, the Jags’ defense is better than it ever was when Gabbert was wearing their uniform. But it wasn’t good enough to stop their old signal-calling punchline.